The FRLAEF awarded scholarships during the Salute to Excellence Awards dinner and during the HTMP Awards Luncheon. In order to redeem their scholarship, the awardees must provide the FRLAEF with their post-secondary Student ID number and Financial Aid mailing address of the school they will attend. Students must be pursuing a degree in foodservice or hospitality. This information is due no later than June 14, 2019. ICYMI–CLICK HERE to see the 2019 HTMP Competition Results. The FRLAEF sent out HTMP banners to several schools by UPS which should arrive early April. If you did not receive a banner and are interested, please let us know. 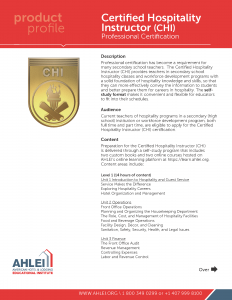 The American Hotel & Lodging Educational Institute (EI) revised its Certified Hospitality Instructor (CHI) designation to bring the study materials in line with the high school curriculum, as well as to make preparing for the certification exam more convenient and flexible for teachers. Professional certifications have become a requirement for many secondary school teachers and workforce instructors. 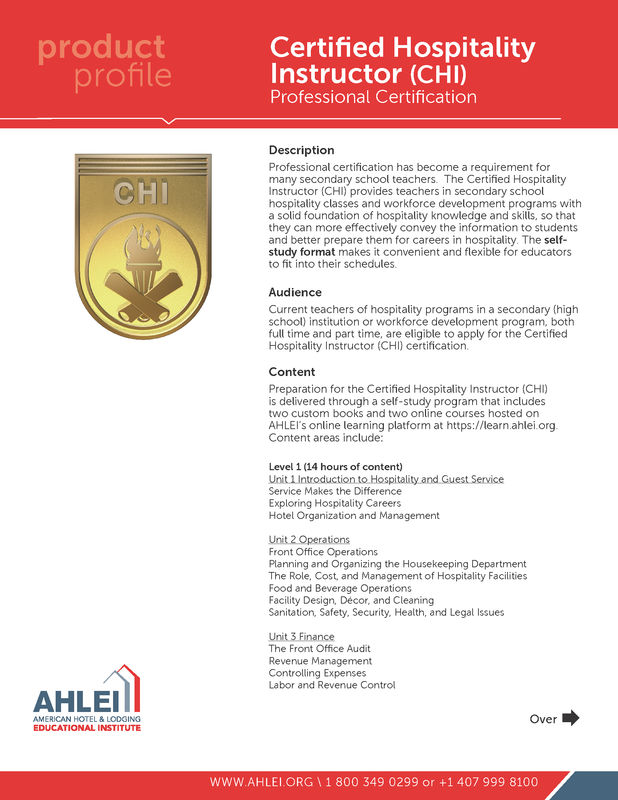 The Certified Hospitality Instructor (CHI) provides teachers in secondary school hospitality classes and workforce development programs with a solid foundation of hospitality knowledge and skills, so they can more effectively convey the information to students and better prepare them for careers in hospitality. Prospective CHI candidates may teach one of EI’s hospitality programs, including the Hospitality and Tourism Management Program (HTMP), Skills, Tasks, And Result Training (START), or any other secondary-level hospitality curriculum. EI has revised the CHI learning format from a series of three on-site summer institutes to a two-level self-study program that includes print resources and online study modules presented by Michael “Doc” Terry, CHE, a hospitality instructor at the University of Central Florida’s Rosen College of Hospitality Management. Each level consists of 13 modules with an online exam that must be passed with a score of 70 percent or higher. 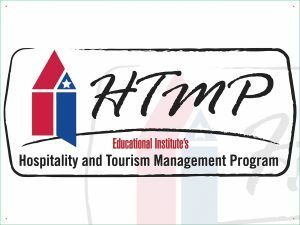 The learning modules relate to the content presented in EI’s new, two-year high school curriculum, the Hospitality and Tourism Management Program (HTMP). Candidates must also complete a 120-hour hospitality internship to earn the certification. Certification candidates have six months to complete the program requirements. No travel is required under the new learning format. The cost for the new certification program is $750.00, which includes both books, the online courses, and the exams. • Taken CHI Level 1 only – must still complete new Level 2, exempt from Level 1. • Taken CHI Levels 1 and 2, but not 3 – must still complete new Level 2, exempt from Level 1. • Taken CHI Levels 2 and/or 3, but not 1 – must still complete new Level 1, exempt from Level 2. The FRLAEF will cover the training costs for each of the CHI Scholarship recipients. 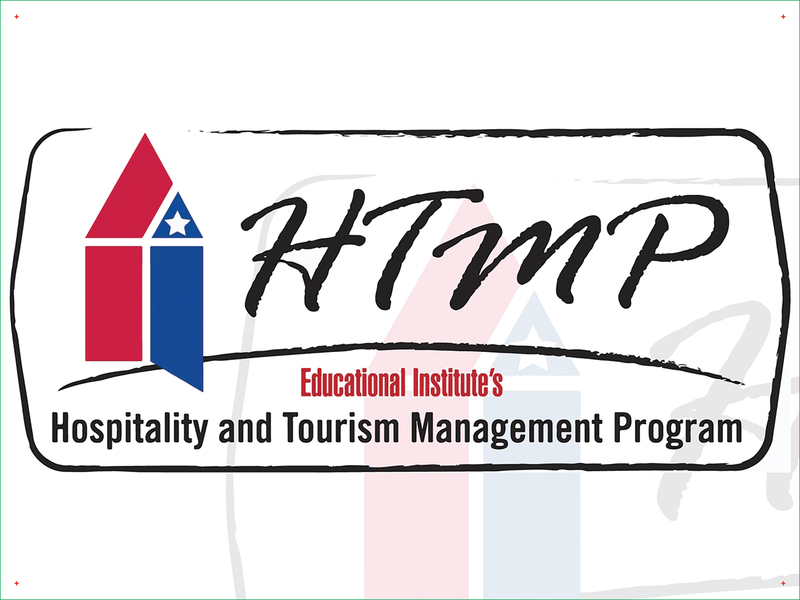 The Hospitality Industry Internship (HII) provides the opportunity for Florida HTMP instructors to work in a lodging establishment for at least 40 hours. Once the required paperwork has been processed, the participant will receive a personal check for $600 from the FRLAEF. To qualify for an HII, the instructor must teach the HTMP curriculum during the 2018-2019 school year. If you are already employed at a restaurant or hotel, you MAY NOT use that site for your internship. The restaurant/hotel must also be a new work experience for you, not somewhere you have worked before or used as an HII internship location. The applicant must secure a position at a foodservice or lodging facility where a minimum of 40 hours of hands-on experience is guaranteed. The host location may pay the recipient but is not required to do so. The FRLAEF will award 11 HII’s this school year on a first-come, first-served basis. So apply NOW! Work experience may begin once the applicant receives an award notification from the FRLAEF. If you apply and are approved for an HII, it must be completed no later than June 14, 2019. A new HII application will be available July 1, 2019.